Our Mother has been given innumerable titles and names throughout the centuries, but the one I love so much is Mary, Queen of Peace. She's also called the Queen of Heaven and Earth. 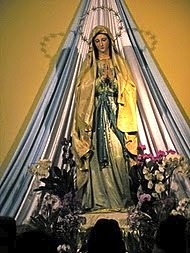 And she has shown her great concern for earth by her apparitions--having appeared many times and given messages for her children throughout the world--revealing her great motherly care. 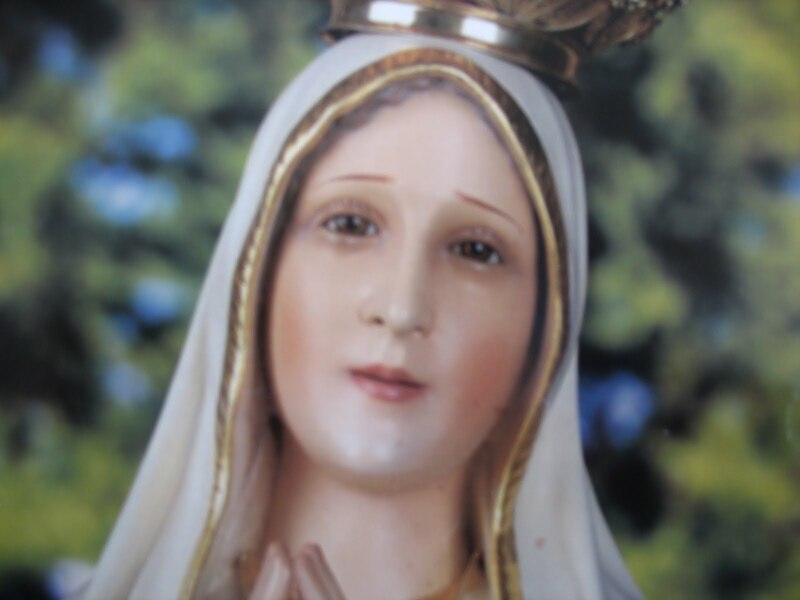 Over the past decade I have had the opportunity to make pilgrimages to four of her apparition sites: Guadalupe, Knock, Fatima, and Medjugorje and would like to share briefly her messages so we can understand what she is saying to us. 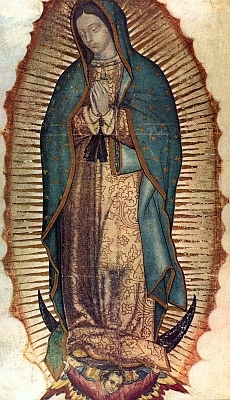 In Tepeyac in 1531 she came as the Mother of the True God, as revealed to Juan Diego, and said to him, "...I am the ever virgin Holy Mary, Mother of the True God for whom we live, of the Creator of all things, Lord of Heaven and earth. I wish that a temple be erected here quickly, so I may therein exhibit and give all my love, compassion, help, and protection, because I am your merciful mother, to you, and to all the inhabitants of this land and all the rest who love me, invoke and confide in me; I listen to their lamentations, and remedy all their miseries, afflictions, and sorrows." She is known as Our Lady of Guadalupe to people throughout the world. 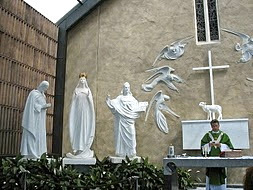 In Knock, Ireland, in 1879, she appeared with St. Joseph and St. John the Evangelist. To the left of St. John was an altar on which stood a cross and a lamb. She did not speak a word, but in her silence many lessons were learned. The people of Ireland spoke of how everything seemed to point to the altar with the sacrificial Lamb. In Fatima, Portugal, she appeared to three shepherd children identifying herself as Our Lady of the Rosary saying, "I have come to exhort the faithful to change their life, to avoid grieving our Lord by sin, to pray the Rosary...If my people mend their ways the war will soon be over." She also said, "In the end my Immaculate Heart will triumph." The Mother who brings me peace. It is my hope today that you got in touch again with our Mother's great love for us. May you feel her embrace and draw closer to her so she can lead you to the "peace that surpasseth understanding."